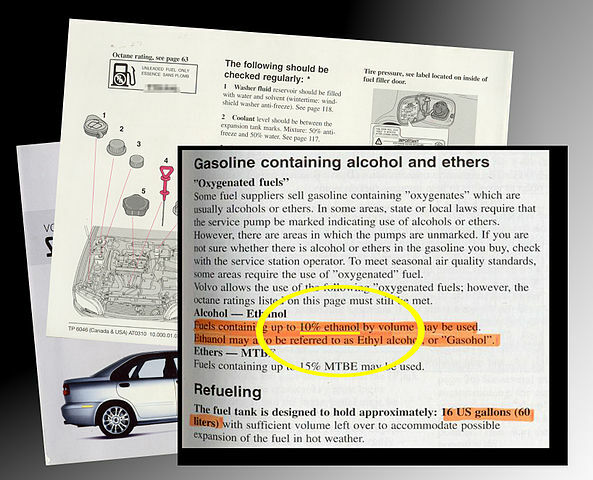 One of the loneliest books in the world might just be your vehicle’s owner’s manual. Consigned to the glove box, many never see the light of day until they find a new home in the recycle bin. 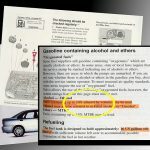 That’s a shame because the manufacturer of your vehicle has put a lot of thought and important safety information on those pages. The most basic piece of safety equipment to appear in the owner’s manual was likely the seatbelt. Mine shows pictures of how to wear it properly, warns of what could happen to me if I did not and explains on how to care for it. Proper use of the seatbelt is extremely important if your vehicle is equipped with airbags. Speaking of airbags, this was probably the next step up in occupant protection. Knowing that you must sit at least 25 cm (10 inches) back from the airbag and that you must not put small children in a seating position protected by an airbag will prevent injury caused by these systems if you follow the advice. Your supplemental restraint system (airbags) will even tell you that it is ready to protect you each time your start your vehicle. Do you know what to watch for on the instrument panel to insure that this is so? if not, refer to your owner’s manual. In general, airbags are designed to last for the life of your vehicle. However, the first generation of some airbags may not and the manufacturer recommends that they are replaced after a certain period of time. Is your vehicle one of them? Refer to your owner’s manual to find out. As a passenger, do you ride with your feet on the dash or like to prop a pillow against the window beside you and nap on a trip? Do you use seat covers? All of these practices are warned about in your owner’s manual. While we’re on the subject, airbags now mandate that you hold the steering wheel at 9 and 3 or 8 and 4 instead of the 10 and 2 that we probably all learned back in the day. No more hand over hand steering unless we are proceeding at parking lot speeds or slower. Moving ahead in time, let’s add anti-lock brakes, traction control and electronic stability control to our vehicles. We may have learned about stomp and steer as opposed to pumping the brake, when to disable traction control and that electronic stability control should never be shut off. Yes, it’s all in your owner’s manual. A driver’s life can be very complicated today depending on what comes as standard equipment on your new vehicle and what you have purchased as an option. Lane departure warning, backup cameras, automatic emergency braking, blind spot monitoring, drowsiness alert, tire pressure monitoring are just some of the advanced safety systems available now. They are not foolproof, require maintenance to keep them working properly and you have to know how they work and what they are telling you to use them effectively. Where do you learn about all this stuff? You guessed it, by reading your vehicle’s owner’s manual. Need a refresher? Don’t consign that manual to the recycle bin. It’s a very valuable part of your vehicle’s equipment! All excellent advice…yes take note and earmark parts of your manual for emergency help as well.